Christmas just isn’t Christmas without good music to really get you in the spirit! We’re featuring brief reviews of our favorite new holiday releases from PJ Morton, John Legend, Cece Winans, Aloe Blacc, Motown Gospel, and After 7. 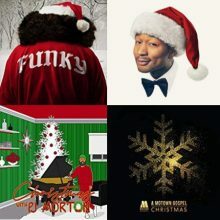 Our specially curated Black Grooves Christmas Spotify playlist features our favorite songs from these artists and more, providing the perfect soundtrack as you get together with friends and family to celebrate the holidays. So often when artists release a Christmas album it can feel very gimmicky due to recycled arrangements of classics that we have heard a thousand times or lackluster original songs with clichéd lyrics. This is certainly not the case with PJ Morton! His debut holiday album is filled with iconic Christmas songs we all know and love such as “Winter Wonderland,” “The Christmas song,” and “All I Want For Christmas Is You.” Morton’s take on these classics is so uniquely his own that he can completely redefine a song just by strategically adding some atypical grooves and minor re-harmonizations, but he always makes sure it feels fresh. 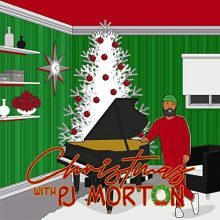 The album opens with a reggae interpretation of “Winter Wonderland,” with improvisatory background vocals and short piano riffs that showcase PJ’s ability to make his music sound spontaneous. It’s as though you were at family gathering or a jam session where everyone comes together to fellowship and simply connect through the music. Another stand out track is Morton’s original song written for his daughter, “Peyton’s Lullaby (Right Away),” which gives us an insight on what the holiday season truly means to PJ. As he explained in an interview with OffBeat Magazine, creating music has always been a major part of his family gatherings on Christmas, where they would sing all night. We’re grateful that we are now able to share in that experience. 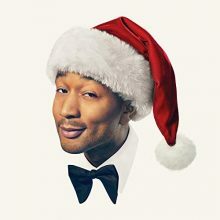 With the release of his first Christmas album, John Legend maintains his status as one of the greatest and most inspiring artists of his generation. Produced by award winning artist Raphael Saadiq, this album is as soulful as they come. There was a clear melding of the minds between Saadiq and Legend in the creation of this project, and through the use of old school RnB and jazz instrumentation and grooves they have created a really fun album. 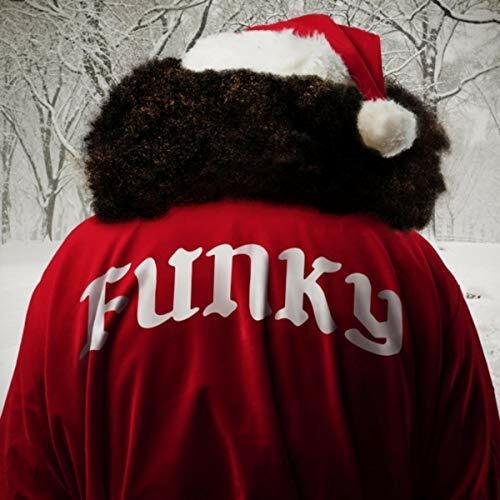 Featuring six new Christmas songs such as “No place Like Home,” “Waiting For Christmas,” and “Wrap Me up in Your Love,” the album also offers eight Christmas classics like “What Christmas Means to Me” and “Silver Bells.” The standout track is the duet between Legend and Esperanza Spalding on “Have Your Self A Merry Little Christmas.” Performed as a waltz, these two vocalists work incredibly well together and breathe new life into this classic tune. Aloe Blacc seems to be trying something new with Christmas Funk that we really haven’t heard from him before, and with the unique timbre of his voice this could prove to be a very positive move. Motown Gospel Christmas is arguably one of the best holiday albums of the year. This compilation features emerging artists as well as the best-known artists on the label, including Lexi, Gene Moore, Brian Courtney Wilson, pianist and producer Max Stark, Mandisa, Danny Gokey, Jerard & Jovaun, Tasha Cobbs Leonard, and Kenny Latimore. Some of the most outstanding moments include Lexi’s impassioned rendition of “Give Love On Christmas Day,” Tasha Cobbs on “Oh Holy Night,” and Kenny Latimore with an incredibly smooth R&B/jazz version of “ God Rest Ye Mary Gentleman.” What really makes this album so strong is the level of talent and ability of the individual performers to present these songs and arrangements in a compelling manner. 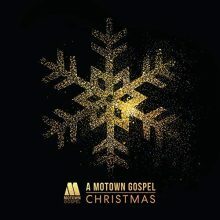 Motown Gospel Christmas has a little something for everyone, including gospel and CCM tracks, and will definitely remind you of the reason for the season. Produced by her son, Alvin Love III, the album includes both original Christmas songs as well as new renditions of classics we know and love: “O Come, O Come, Emmanuel,” “Hark! 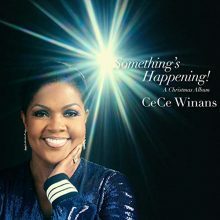 The Herald Angels Sing,” “Silent Night,” and “I Heard the Bells On Christmas Day.” Opening with the title track, “Something’s Happening,” Cece Winans shows a side of her artistry we have never heard before. All of the songs on this album feature full orchestral arrangements backed by a gospel choir, creating a beautiful mixture of traditional gospel and classical-styled vocals. This is a very interesting step for Winans, but she shows us just how versatile she can truly be with this classic holiday album. Last but not least on our list is the first holiday song from Indianapolis R&B group After 7. 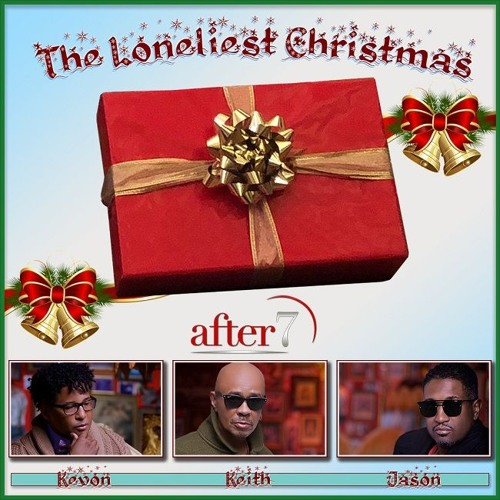 “The Loneliest Christmas” is a tear jerking ballad written by Grammy-award-winning songwriter Daryl Simmons. Featuring the smooth tenor of Kevon Edmonds, the song tells a story about the first holiday season without the one you love by your side. The touching track is further enhanced as the warm background vocals enter on the second iteration of the chorus in true After 7 fashion. This entry was posted in Gospel Music and Spirituals, Rhythm & Blues, Soul, Funk and tagged A Legendary Christmas, After 7, Aloe Blacc, CD review, Cece Winans, Christmas Funk, Christmas With PJ Morton, Columbia, funk, Gospel, Jared Griffin, John Legend, Loneliest Christmas, Morton Records, Motown, Motown Gospel Christmas, New Holiday Albums: The Best of 2018, PJ Morton, Pure Springs Gospel, R&B, Something's Happening! A Christmas Album, Sound Cloud, Stones Throw, Various Artists by aaamc. Bookmark the permalink.